With our thermoforming systems, you can produce lids in any shape and size for all kinds of packaging. 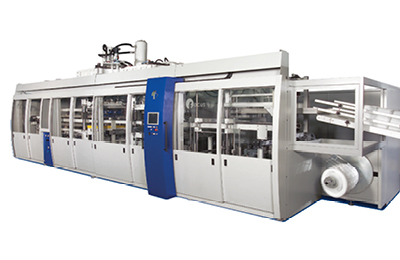 Profit from the sophisticated technology of our machinery and many other advantages. Thanks to the high precision of our technology you can produce the lids in exactly the shape you wish. Our thermoformers reach an extremely even spread of plastic over the entire lid. Our machines allow you to easily produce lids with a safe fit. Depending on the model, our machines achieve increased output volumes at constant product quality. Produce plastic lids for any kind of packaging. Our range of machines offers various models with excellent properties. 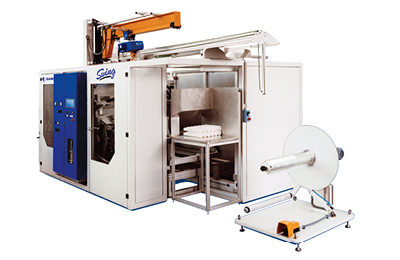 Uniquely compact and fast tool-changing capacity: SWING is recommended for all customers looking for a both compact and flexible automatic thermoformer for applications in the production of lids. 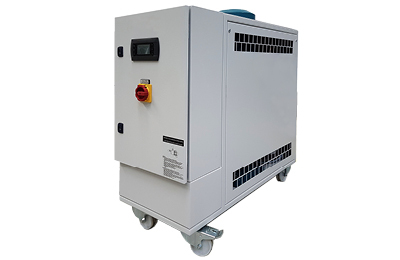 The FOCUS series was developed to specially accommodate the demands of multi-station processes. 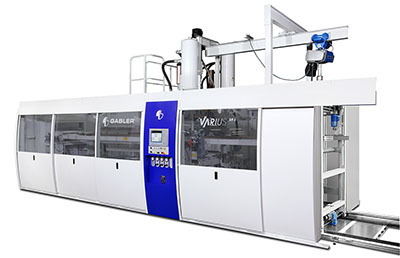 GABLER additionally offers scope for lid production with the standard size FOCUS 80, the smaller FOCUS 60 and the large FOCUS 100. VARIUS was specially designed to produce high-quality lids and other packaging. The machine comes in three versions: for combined shapes and cutting, with separate punch press and with channel cutting. In our range, we have the right additional components for lid production: for crimpling cups, for pre-heating PP foils, for cooling tools, for separate punching, for granulating punching cut-offs or the automatic roll changer.